Actress/singer Stephanie J. Block who recently starred on Broadway in The Boy From Oz, The Pirate Queen and 9 to 5: The Musical, as well as winning a Helen Hayes Award for playing Elphaba in the National Tour of Wicked, is about to open the new season @ Reprise Theatre Company co-starring with Jason Alexander in They're Playing Our Song on September 28. In our chat she talks about Song, Sondheim and other theatrical passions. Q: I don't know if you knew, but I singled out your CD This Place I Know as the best of 2009 on my year-end list. Great stuff! Are you planning another one? I didn't know I made your year-end list. Thanks so much for selecting This Place I Know. I am proud of that album and am SO happy to hear people are responding to it. So thank you. I really would like to record a live Christmas album. I would perform 2-3 concerts and record each one, then choose the best from each performance. The timing can be a bit tricky with a live Christmas album though, as it would have to be recorded months before the holiday season in order for it to be mixed, mastered and ready to go by the holidays... So I would have to sing carols in June and that's a little weird for a live audience. Hmmm... it seems I need to rethink this idea. Q: Tell me about your role in They're Playing Our Song and its challenges. I play the role of Sonia Walsk in They're Playing Our Song. She is a lively, passionate, quirky lyricist. Sonia is wonderfully challenging and slightly challenged. She is so vibrant and honest, but her stream of consciousness is all over the place. She has an extreme case of A.D.D. And however fun and charming this may be to watch... memorizing her speech is extremely difficult. Q: What has been your most challenging role thus far? How? Explain. Grace O'Malley in The Pirate Queen has been, by far, the most challenging role of my career. The magnitude of that role was/is indescribeable. I believe I sang over 20 songs. I had 3 sword fights, I propelled from the proscinium, I "gave birth" onstage and then stage battled, I... I walked through a wall of "fire". It was 2 1/2 hours of pure adrenaline and energy. Grace was a powerful character and I loved her... but I was exhausted! Q: I loved you in 9 to 5. Why do you think it was less successful than anticipated? It should have had a longer run on Broadway! You were all terrific in it and Dolly's songs were wonderful. Are you going to do the tour? I agree with you that 9 to 5: The Musical should have run longer on Broadway. That show was pure fun and it was contagious. Its premature closing will be one of those questions I will be asked (and continually ask myself) and will never have an answer. I really believe that if we could have stuck it out a bit longer, word of mouth would have helped to keep us on Broadway. The response we got from the audience night after night, and the reception we would receive at the stage door was overwhelming. I miss it everyday. I will not be going on tour. They have a brand new beginning with the tour and I know they are planning some significant changes. I wish them tons of success and hope that the level of respect and joy is as great as it was with our cast and crew on Broadway. Q: What has been your favorite role to date and do you have one that you really want to play? My favorite role is a toss up between Elphaba and Fanny Brice. But, I gotta tell ya, Sonia Walsk is quickly becoming a top fave. As far as a role I would love to play in the future... I really have the desire to work with Stephen Sondheim. Any part. Anytime. Anywhere. I do think I would make one heck of a Baker's Wife in Into the Woods. Oh gosh, I have many composer/lyricists whom I just admire and adore. As I mentioned already...Stephen Sondheim... genius. I also think Stephen Schwarz is a tremendous talent. His music helped shape my love of musical theatre and his songs stand the test of time. And, my heart really responds to the music of Stephen Flaherty and Lynn Ahrens. Wow, that's a lot of Stephens. Q: Is this your first show for Reprise? Do you think there may be a major revival of They're Playing Our Song? Would you like to go on with it? I have performed with Reprise before. I was in their production of Call Me Madam with Karen Morrow (many moons ago). And I also played Gwynne in their Bells Are Ringing starring Carolee Carmello. Both were terrific experiences. I do believe there is an audience for a revival of They're Playing Our Song. Everytime I tell someone I am doing the show, there is a happy gasp and then an "I love that show"!! Jason [Alexander] and I are having a ball. And the work that Lonny Price has done with us and with the material, has reshaped the piece in some really wonderful ways. I think any play written by Neil Simon is worth reviving... who doesn't want to watch two interesting characters deal with a complicated relationship through humor, heartache and music... It's life and it's real and it's done through Mr. Simon's words, Mr. Hamlisch's music and Ms. Sager's lyrics?! I mean, come on. Q: What's next for Stephanie J. Block? Well, I'm hoping if Sondheim reads this article.... he's going to call any minute. 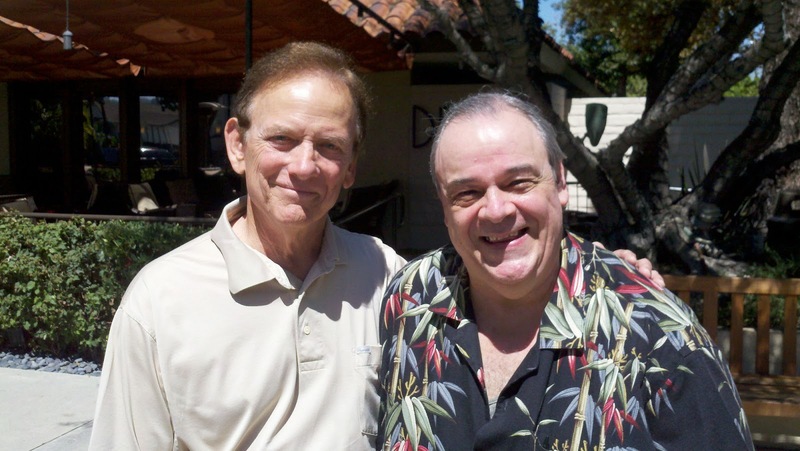 Popular TV/ film/Broadway actor Monte Markham will play Antony in a scene from Antony and Cleopatra for CART (California Artists Radio Theatre) on October 9 at the Beverly Garland Hotel in NoHo at 1:30 pm. Markham is well known to TV/film audiences for his consistent work in TV series, MOWs and theatrical movies for the last 50 years. He is also producer/director of a series of acclaimed documentaries which have changed the face of Cable TV, since before the History Channel began. He started his Broadway career in 1973 co-starring in song and dance with Debbie Reynolds in the musical Irene, for which he won the prestigious Theatre World Award. In our interview he concentrates on his roots in and passion for theatre, and may I add with tremendous intelligence, wit and integrity. If you had to sum up your career so far, what would you say? I can say categorically that there’s very little that I haven’t done, pursuing every possible way of acting and doing, leading then to directing and producing…I did very well. When I stayed at the University of Georgia 2 years as an undergraduate, they had a great theatre program and veterans had come back from the Korean War and were going to school. There was nothing we couldn’t do, so I stayed there and did theatre, everything from Stanley in Streetcar to Hector in The Tiger at the Gates to Shakespeare…it was grand…and then I would do summer stock or the Shakespeare Festival in San Diego, playing Antony and Benedict or at the Shakespeare Festival in Oregon, playing Hotspur and Horatio. It was all good. Then on to Stephens College in Missouri with the Male Actors Resident Company… William Inge had taught there. I got an offer for a workshop, which was the first of four grants. They would choose 10 actors at $200 a week for 40 weeks. I came in at $110-$115 in a full company of 25 actors in the TCG (Theatre Communications Group) in San Francisco. That was the whole beginning of the Great Oedipus Complexes where Ford put the money in…the one that kicked it was Tyrone Guthrie…there wasn’t anywhere to go…except there was the Houston Alley. Ford went in and gave the money to the person, not the theatre…it was given to Irving and Blau to administer the Actors Workshop. I walked in and did Beckett, Genet and Ionesco, castrating myself in the balcony as the chief of police with a bayonet and I said “It doesn’t get any better than this”. They were doing Godot and taking it to Brussels. It was a dynamite company and I was there for 3 years until they closed. It was the last real commitment I wanted to make. That was 1965. You said that was in San Francisco? Yes, it eventually became the famous ACT at the Geary Theatre. So, where did you go when you left there? In LA Pasadena offered a resident repertory season and they offered me Peer Gynt, but during that season I got the sequel to the famous film Gunfight at the OK Corral with John Sturgis directing…Robert Ryan, Jimmy Garner; I came in with Billy Windom and Lonny Chapman. Then I played twin roles in The Second Hundred Years for TV. That was 1966, 67. Then in 68 I got a call to meet Ray Bradbury and to do his Irish plays at the Coronet, where I played Ray Bradbury in a wonderful play.Unfortunately, theatre in LA has been very minimal for me, because of the unpredictability of the Equity Waiver situation. It’s very easy to delude 8 people into believing that they’re doing something of value and then it fizzles. Tell me about your documentary film making. In 1992 I formed a production company and since that time I’ve done over 150 hours of documentary programming all over the world and that was the beginning of Cable Television: The History Channel, A & E, Discovery…it was a great time…the journey has been beyond belief. I stopped acting in about 1994 and I directed some episodes of Baywatch. Let’s back up a little. I saw you in Irene in the early 70s on Broadway. You sang and danced up a storm. Was that a great experience? Paul Gemignani and I had been in the Actors Workshop in San Francisco together. He was assistant musical conductor, and eventually became conductor for Hal Prince and Stephen Sondheim. I read the script of Irene in 1972. I looked at the role of Donald Marshall, loved it, but realized it could be cut substantially. I learned tap with Al Antieri from the original Guys and Dolls and then went to Vegas to meet Debbie (Reynolds). It was three in the morning, she had finished her show and I got up and sang “Try to Remember”. She said “OK” and then they made the offer. I met Sondheim and Sir John Gielgud, who was directing, so I felt I should take it. Hugh Wheeler wrote the book, Peter Gennaro was choreographer. Billy De Wolfe was playing Madame Lucy and Patsy Kelly was in it …it was all there, this big thing. The crapshoot and the upshot was … in Philadelphia at the Shubert Debbie was concerned about Sir John, who had never directed a musical before - charming, funny man, we had a grand time. So, all of a sudden, Gower Champion shows up and Sir John’s told that he’s fired. Gower told me that Debbie wanted me out of the “Irene” number. It became a solo number for her and the guys. We opened at the Minskoff on Broadway– great opening night – spectacular, a big hit. I told Gower I wouldn’t stay, though. When I came into New York, I had been asked to do The New Perry Mason for CBS Fox, 26 hours, no pilot. Did you get along OK with Debbie Reynolds? Is there a favorite play that you did? Same Time Next Year was my best professional experience. I did it with Betsy Palmer, who was wonderful. I saw you in that. How did that come about? I got a call…Don Murray had been playing it and they were building the movie. Bernie Slade’s show, he had written my pilot of “Mr. Deeds Goes to Town” in 68. Bernie said “I want you for the play”, but Charlie Grodin opened it. Bernie’s new play Tribute was coming in to the Brooks Atkinson with Jack Lemmon in June – this was December of 77. We opened during one of the biggest snow storms in New York, but despite that we got audiences out the wazoo. The point was that the show was about to close in two or three or four weeks to make room for Tribute. We got such good publicity that all of a sudden box office picked up, we were making money, so they moved us to the Ambassador and we played another two months. Tell me about doing Antony. You’ve played it before, correct? Now you’re working at CART. Who is playing Cleopatra? Samantha Eggar. We read some scenes together. She’s wonderful! I agree. You should be great together! You were originally scheduled to do the Norman Corwin evening. Yes, and I knew Norman. I had done Jefferson Hamilton and Burr in 1976 with Dana Andrews and Howard Duff. It was wild. There were ten of us on a bus for 20000 miles covering 40 cities. Norman’s changed the name now to No Love Lost. You have done it all in the theatre. The classics, comedies, dramas and musicals. What’s your favorite time? What a great life in the theatre! 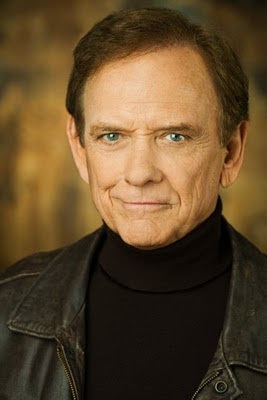 Monte Markham, apart from being a great actor and a true gentleman, is still a go getter and a very hard worker. Don’t miss him on October 9 at the Beverly Garland as Antony in a scene from Antony and Cleopatra as part of CART’s great 25th Anniversary Production.